Most carriers provide an app for monitoring airtime, data, SMS texts, and paying bills, but the information provided on texts is generally limited to SMS messages sent through your carrier and only gives you a running total. If you won’t have access to WiFi or mobile broadband, you may be interested in knowing your monthly use of iMessage texts, in case you’ll be going over your limit. 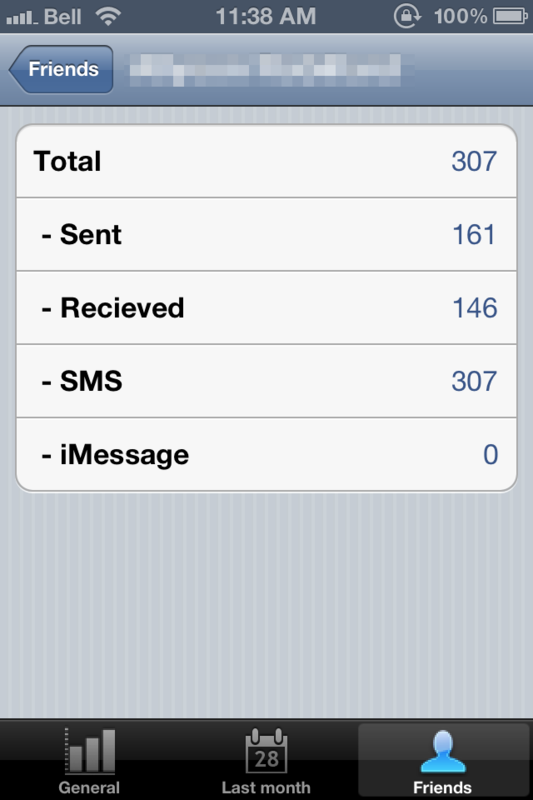 The General screen shows a running total of your SMS messages as well as your most messaged contact. SMS Stats is an app that tallies all the texts on your phone, including SMS texts and iMessage. It calculates a running total divided into Sent, Received SMS, and iMessage, and also can pull up your top contact as well how many messages for that contact have been sent and received. There’s a mode for tracking the monthly tally of texts received as well as a mode which provides messaging stats for each of your contacts. Personally, I would have liked to see more data included, perhaps from apps like Facebook Messenger, Google+, or Skype. The majority of messages I send and receive are through internet services like Facebook; SMS Stats did little more than remind me which friends have decided not to use Facebook. If that’s not feasible, it would also be interesting to see charts or other visual breakdowns of the texting data. You can also pull names from your contacts list to see a breakdown of who you sent texts to. 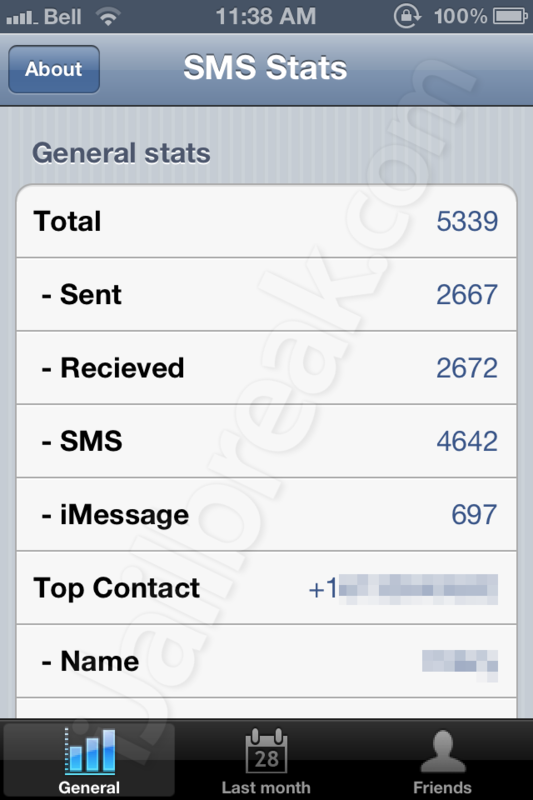 SMS Stats is a free app, available through the BigBoss repository on Cydia. The app appears on the SpringBoard and there are no settings to configure. Do you have a friend who single-handedly takes up a significant number of your texts? Share your thoughts in the comments section below.